From the company who brought us The Walking Dead, Turn, and Breaking Bad comes this new show which for me is just the sort of show I love to watch. Mad Men set in the 80s surrounding the computer industry. Whilst the title might confuse most people (thankfully a title card at the start of the pilot episode explains what Halt and Catch Fire actually means) this show is fantastic and yet again another wonderful show from the AMC stable. When a Texan company Cardiff Electronics hires a new employee from New York who pretty much guarentees he can increased Cardiff Electronics profits to an insane amount in a short period of time, things get slippery when it becomes clear that he has a hidden agenda, and is not exactly what he claims to be. With ten episodes making up Series 1, DVD is the perfect way to watch the show, I found myself hammering through all the episodes in only around 4 or 5 days and am now eagerly awaiting Season 2 which returns to the USA in June 2015 with another ten episodes, carrying on the story. The show is perfectly acted and put together even though (and its a good move) that there are no ‘massive names’ in the cast list. Halt and Catch Fire is all about the story, and its so much fun to take a trip back into the 1980s and see just how far the computer industry has come from then until now. 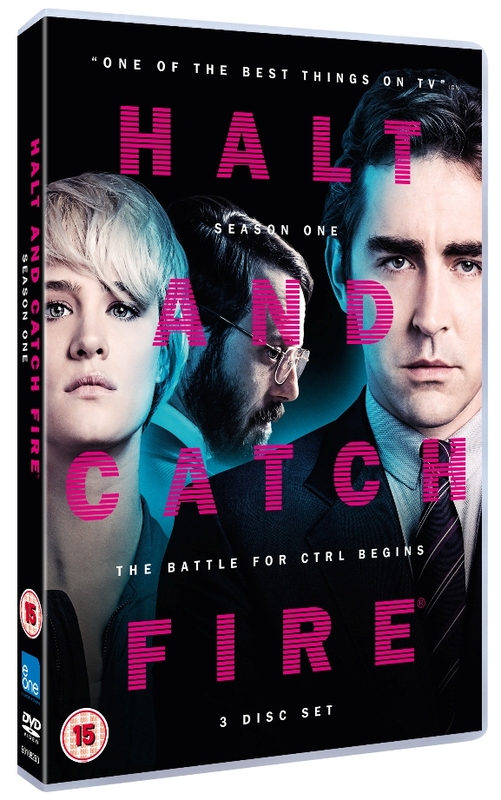 Definately check out Halt and Catch Fire:Season 1 which is out now on DVD and do let me know what you think of it. Im pretty good at recommending great titles but I always like to know how my batting average is doing. May 11, 2015 in Home Release, Television.